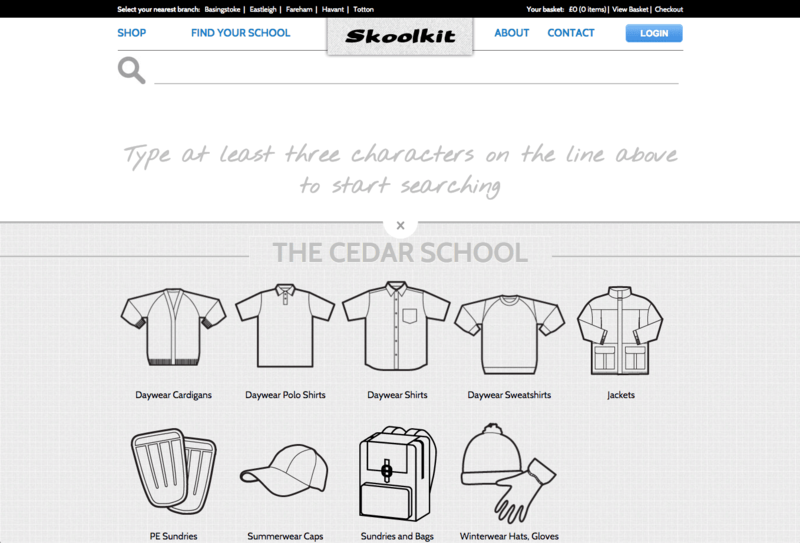 Skoolkit | First Option Software Ltd. 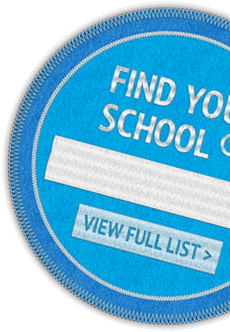 In order to take full advantage of growing online sales Skoolkit needed a new, upbeat and intuitive website. But more than that, they needed it to talk to their existing stock control system to avoid many hours of wasted duplicate data entry. “The design of the new site was more than we could have hoped for, with clean lines, a very modern feel, and most importantly for us it is very easy to use. “I have to commend First Option Software for the whole experience from the design right through to implementation. Throughout the whole process we have been listened to and on the day it went live the changeover went very smoothly. The site was up and running in just over an hour with new orders flooding in. “To sum it all up, we are so pleased that we chose your company, and I would not hesitate in recommending First Option Software to anyone”. 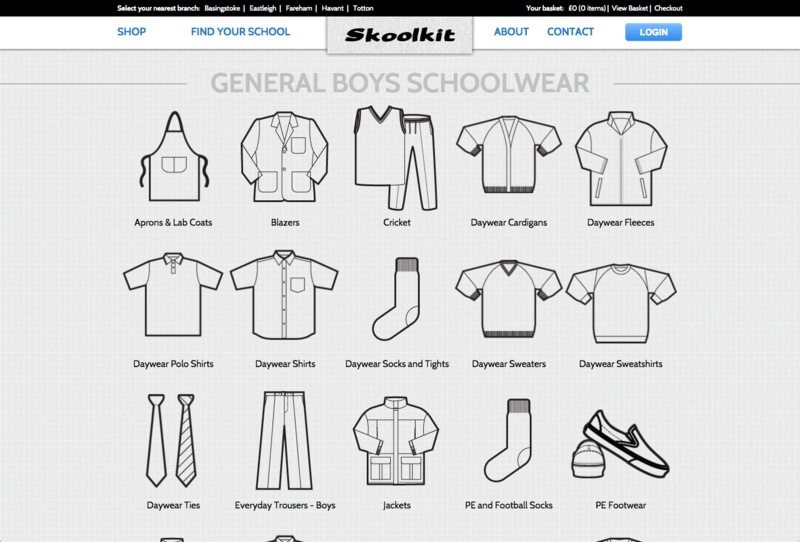 To design and build a new website that would bring extra functionality to the online shopping experience, to make numerous improvements and fix many problems, and to integrate Skoolkit’s ordering/cataloguing and stock control software, Fashion Master. 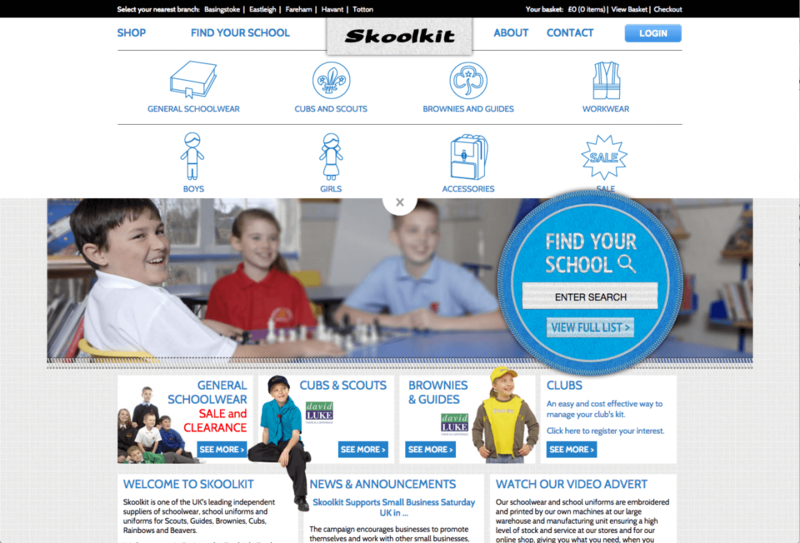 Skoolkit is one of the UK’s leading independent suppliers of schoolwear, school uniforms and uniforms for Scouts, Guides, Brownies, Cubs, Rainbows and Beavers. Based near Southampton, they have retail stores in Basingstoke, Eastleigh, Fareham, Totton and Havant but more and more have been developing their online capability. The old website, which functioned well and everyone was familiar with, was not ‘broken’ but needed developing to make it fit for purpose for the next five years and to take advantage of the growth in online orders. From the perspective of the people involved ‘at the coal face’, this project presented a fair number of new challenges: The design had to be innovative yet easy to use, complex in its scope but simple in appearance and navigation. Owen Jones, First Option’s designer, says “The biggest design challenge was making hundreds of similar products easy and enjoyable to find. The solution was found by studying the site meticulously and identifying its shortfalls. The old site relied heavily on lists and featured a very narrow content-area; these two factors alone made the site feel arduous to navigate and specific products were difficult to retrieve. One key design decision was to remove the side bar navigation, despite it having been mentioned as a key feature in previous briefings. It is often the case with redesigning a user interface that removing ‘digital debris’ is far more beneficial than adding more”. Martin Luscombe, one of the two developers involved with building the website, comments “taking over the existing order processing code and database and completely re-writing the front end without access to the original programmers or any documentation did present a bit of a problem but the original code was reasonably well written. Cris Maule added “it really went very smoothly once I had got my head around the original CMS and was a great project to work on. I’m looking forward to the next phase”.